We can handle even the most complex projects from parts and components to complete operating systems. 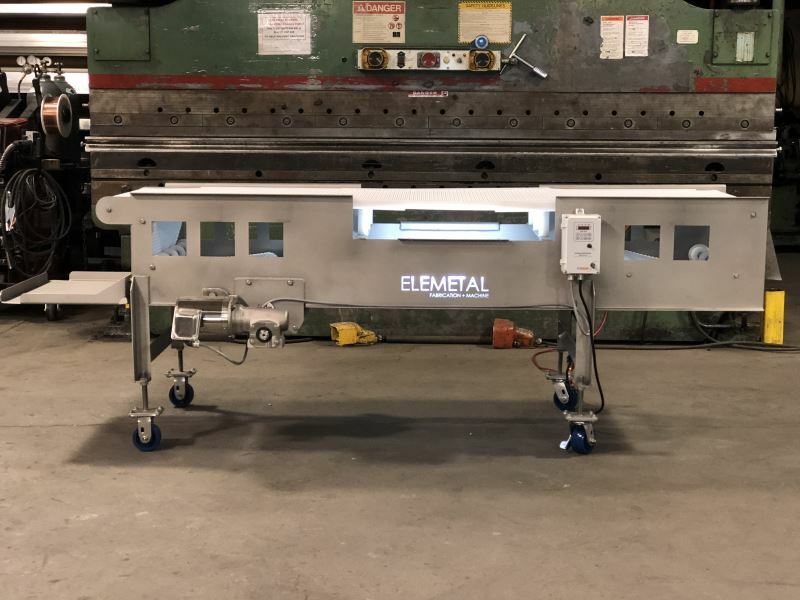 At EleMETAL Fabrication + Machine, we have the knowledge, experience, and equipment to handle your custom machinery fabrication project. 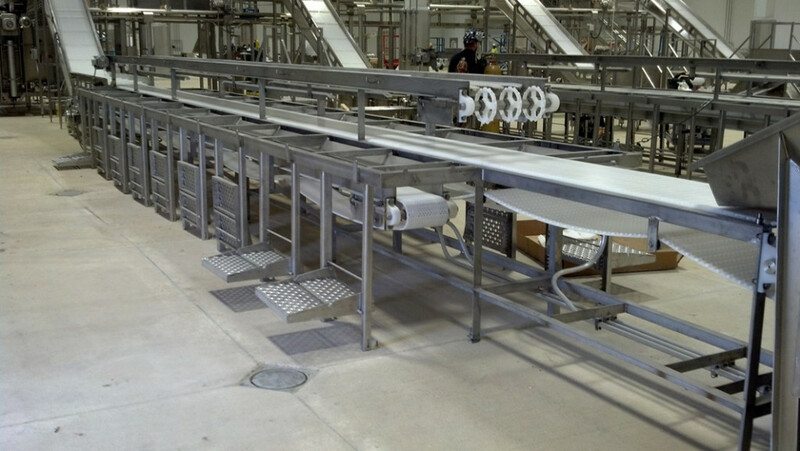 We can handle everything from replacement components and parts to complete machines and equipment. You can be confident that your project will be built within tolerance to your exact specifications. Every job is checked for dimensional accuracy and overall quality before it leaves the building. 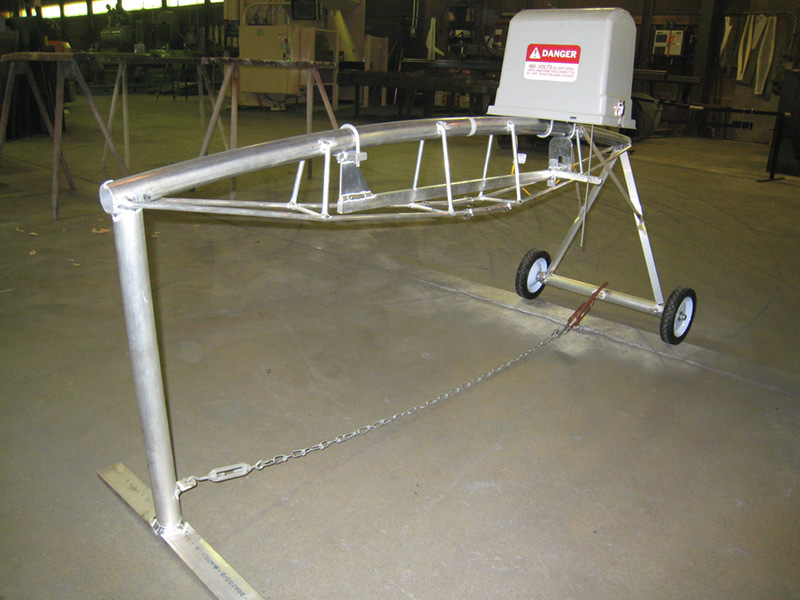 Model / demo irrigation unit used as a sample by the equipment manufacturer. 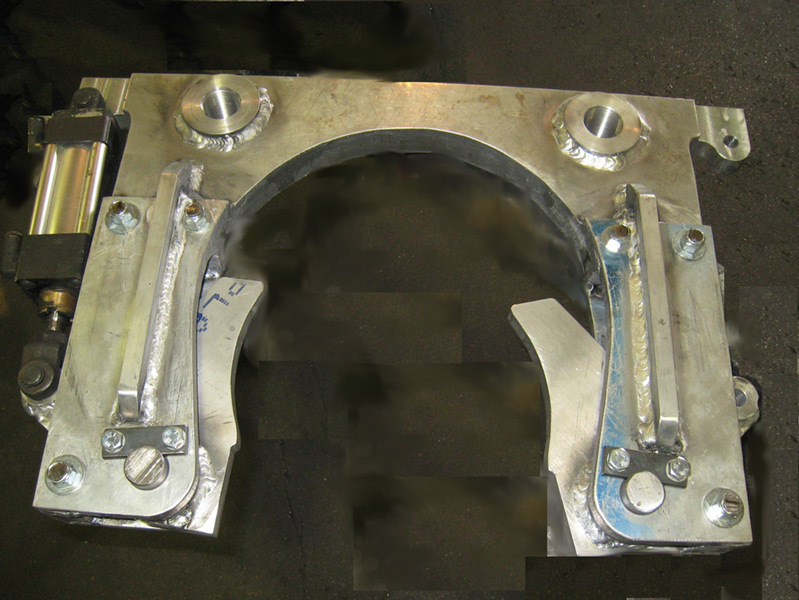 Pneumatic grapple hook assembly for use in a hot-dip galvanizing facility. 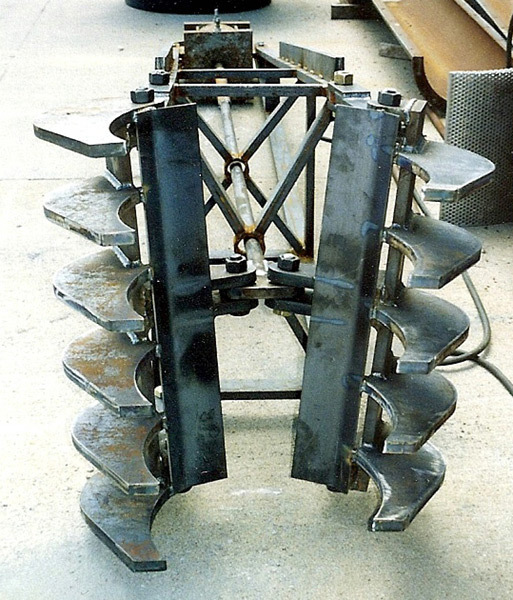 Pneumatic manipulator for removing dies in a pipe mill. 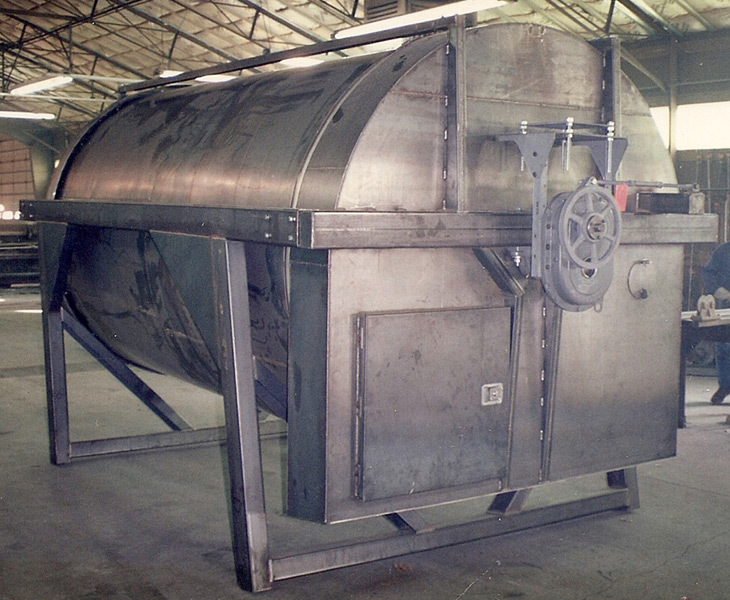 Complete custom built rotary scalper machine. 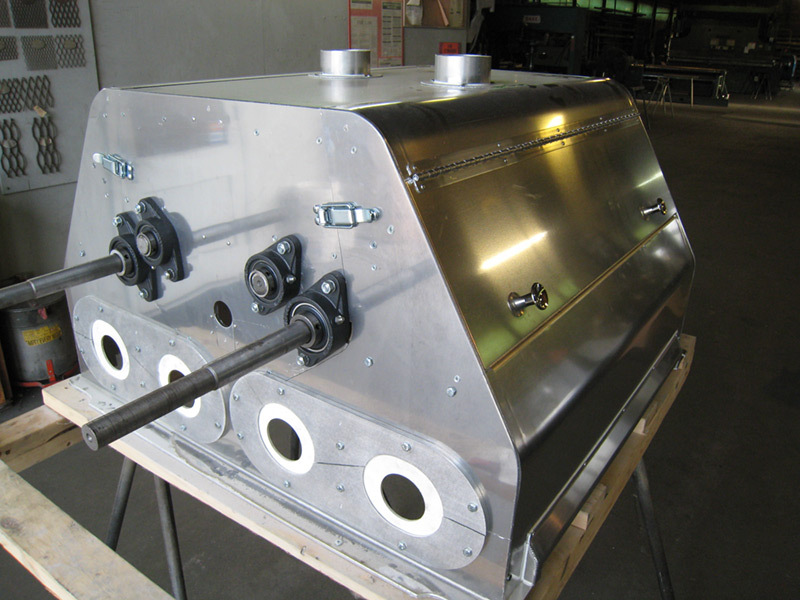 Custom stainless steel collector box with auger shafts and bearings. 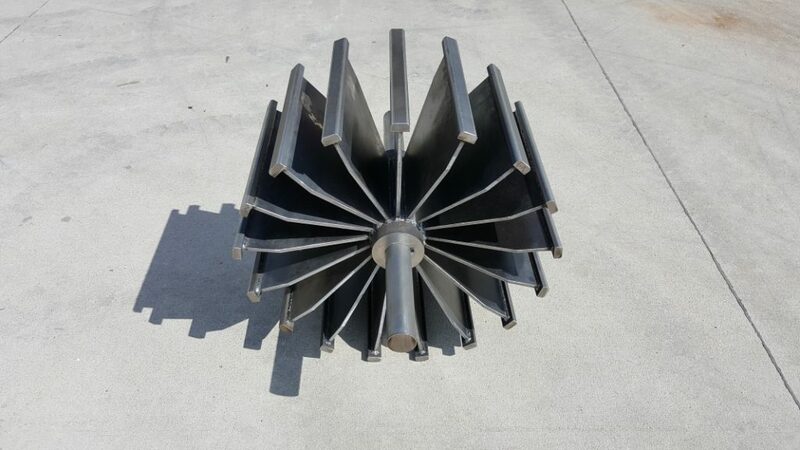 Steel form for round concrete lid. 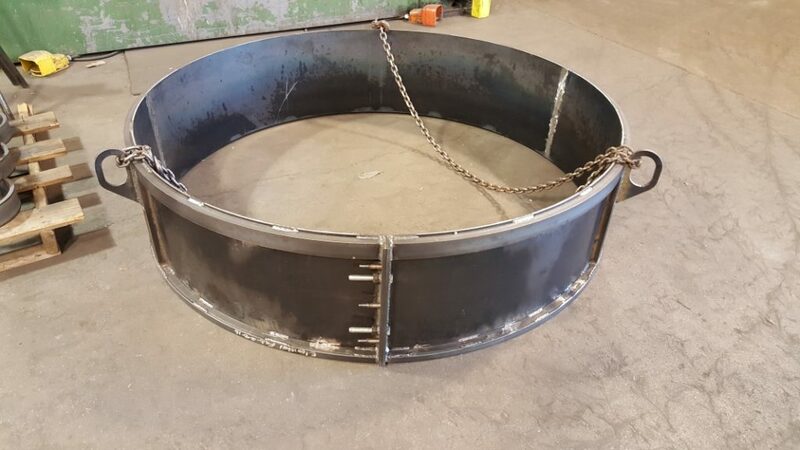 Custom steel receiving leg wheel and shaft for grain processing facility.